The LLS-5 Skills enhancement project is rolling-out skills training courses to help safeguard traditional heritage skills in the Levels. Training opportunities will include: landscape and habitat management, wildlife ID and survey skills, GIS skills, brushcutting, willow-weaving and basket making, putcher fishing, wildlife photography, way-marking and route maintenance, social media, marketing for local businesses. So far in 2018, we have delivered a willow weaving course which was well received. The course looked at how willow weaving has been an important skill on the Levels, using willow from pollarded willows to produce baskets and fish traps used to catch fish in the Severn Estuary. 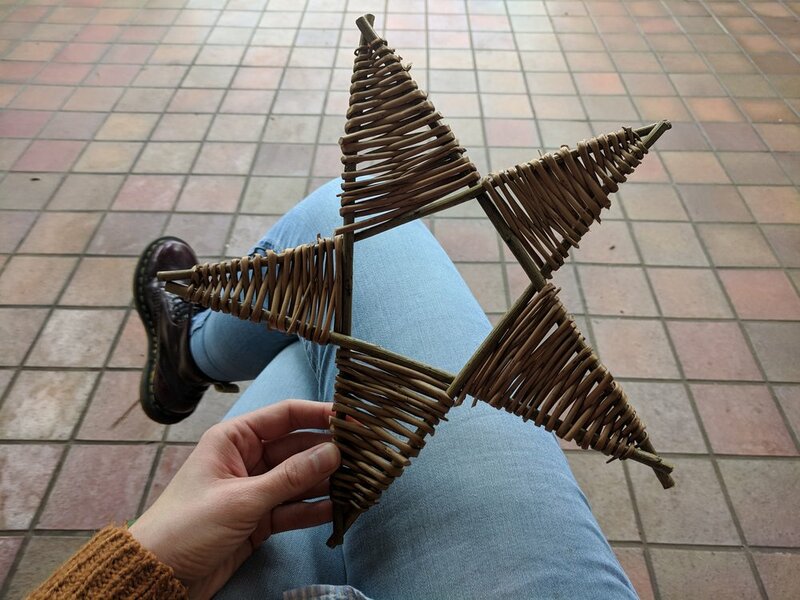 The course attendees were taught about different types of willow and willow craft and as this course was run in December they were taught how to make a willow Christmas tree and willow star. More willow courses will follow in 2019! We also ran the first in a series of wildlife walks at Peterstone gout, a fantastic place to observe over-wintering birds. On our latest walk, participants saw a total of 52 bird species, with the highlights being the wildfowl and waders. The waders put on quite a display with Redshank, Dunlin and Black-tailed Godwit all in triple figures in swirling flocks. Future skills courses will be advertised on our Events calendar and social media so please check for updates on upcoming courses and contact us for more information!